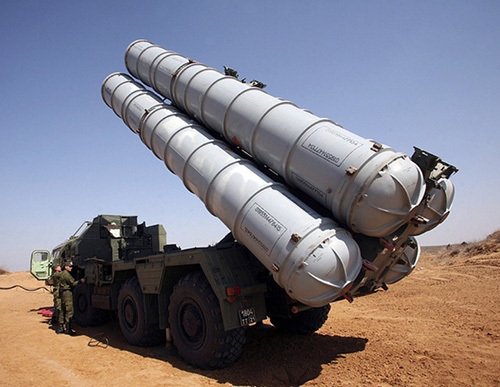 The Russian Defense Ministry on Wednesday published a video showing the delivery of S-300 surface-to-air missile systems to Syria, TASS news agency reported. The footage, aired by the Rossiya 24 and Zvezda TV channels shows the missile systems being unloaded from the An-124-100 Ruslan strategic airlift jet aircraft at the Hmeymim air base in Syria. Russian Defense Minister Sergei Shoigu said on September 24 that Russia planned to supply S-300 missile defense systems to the Syrian army within two weeks, following the crash of the Russian military plane in the Mediterranean. Foreign Minister Sergey Lavrov told reporters on the sidelines of the UN General Assembly in New York on September 28 that the deliveries have already begun.